While the relationship between Taylor Swift and Tom Hiddleston remains somewhat of a mystery (they were so public and now are super private), one thing is for sure: Swift and Calvin Harris are so done. Any lingering doubts were crushed when he dissed his ex by bringing up her rumored beef with Katy Perry — and what about when he posed for a photo with Kim Kardashian? Those moments are practically too petty to relive. So instead, let's focus on the DJ himself. Who has Harris dated besides Swift? He may have a type. Although the list of women he's dated vary in personality, they do have a few things in common. Overall, it's a group of confident, cool women. Plus, they're all way talented — a majority of the names on the list are well-known singers or models. That means he's interested in driven women, who care about their careers. I mean, if there's any "type" to have, that sure sounds like a good one. Let's take a trip down memory lane and relive Harris' love life — you know, before Swift came into the picture. Fingers crossed that he doesn't go on a Twitter rant again and throw any of them under the bus. That was not cool. Harris and Aarika Wolf dated until February 2015. He and the model spent seven months together, where they attended music festivals and various award shows. They met after Wolf was cast in one of Harris' music videos, according to Daily Mail. A source told The Sun, "They were both into each other for a long time but it just didn't work out and they'll stay friends." Rita Ora and Calvin Harris dated for over a year from 2013-2014. According to The Daily Mail, the singer said Harris was the first guy she really fell in love with. Unfortunately, the Daily Mail claimed he announced the breakup on Twitter, before even running the announcement by her. Yikes! 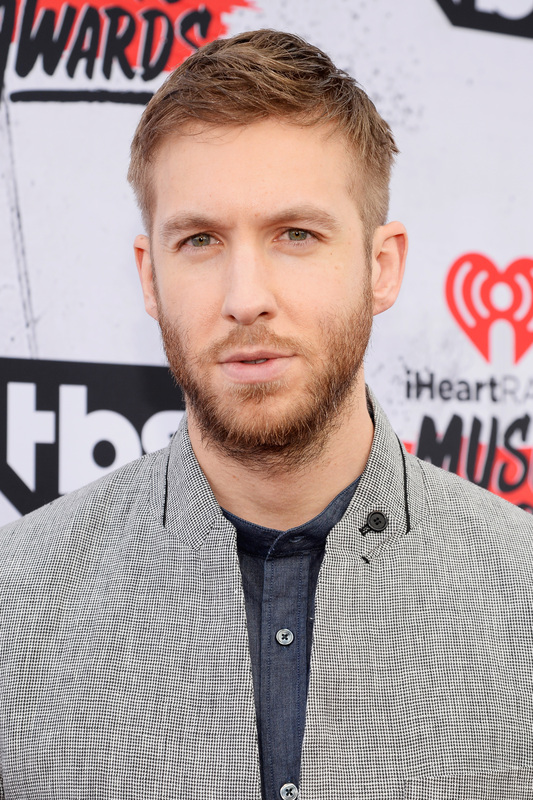 After recording a duet together, Ellie Goulding and Calvin Harris were the subject of dating rumors. It's unclear whether anything ever actually happened, but in 2013, she told The Daily Star that they were just collaborators. Plus, Goulding did play matchmaker for Harris and Swift, so I doubt she'd set up her BFF with her ex. Still, there were enough rumors to warrant a spot on this list. In 2013, Harris reportedly spent Valentine's Day with Anne V. The pair went to a Sports Illustrated party in Las Vegas. A source told Us Weekly at the time, "They were all over each other. He came to support her and was playing the role of doting boyfriend... They were adorable!" See? What a cool group of women. While it's a bummer their relationships (rumored or not) didn't work out, I'm guessing they've all moved on by now — just like Harris.